Well it was a little time coming over to UK shores for this blogger, but the much awaited Makala Waterman plastic soprano has finally launched in the UK. The musical instrument was officially released this last weekend, but I have been lucky to have had a trio of Waterman ukuleles on test for the last week. Are they worth all the hype? 1. People suggest that I dislike plastic ukuleles. I don't at all, I merely review instruments honestly and haven't yet found one that ticks all the boxes for me. 2. 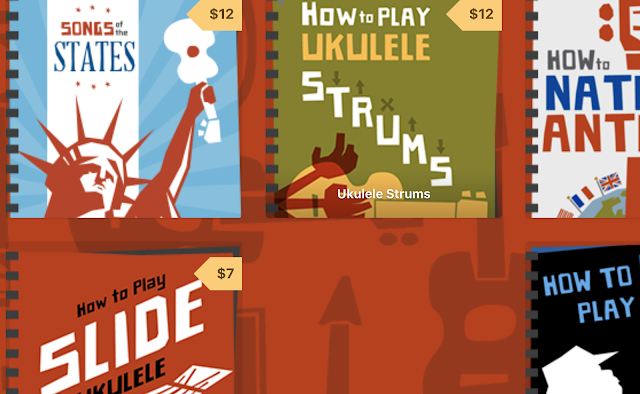 If you are one of those players who thinks that the concept of plastic ukuleles is a 'new' abomination that should be removed from the surface of the earth, then do some reading of your ukulele history. These are not new. And in fact that is an important point when it comes to the Waterman. Kala have never made any bones about this instrument being anything other than a 'nod' or a tribute to the original Maccaferri plastic ukuleles (such as the Islander and TV Pals) that were hugely popular in the 1950's. Whilst some other brands seem to like to claim they have invented something new, they have not, and Kala know this. 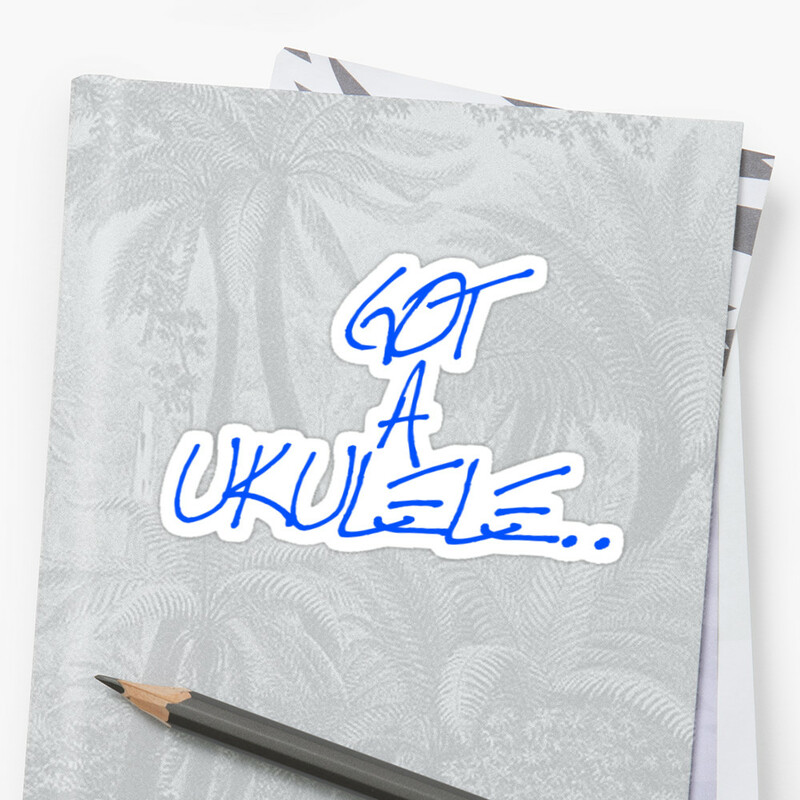 In fact the history of the plastic ukulele is written on the box that these things come in. Going even further, the Waterman even looks like the original plastic ukuleles. I like that. So we have a very robust little instrument, and like most plastics I have played, consist of one piece of moulded plastic making up the back, sides, back of the neck and back of the headstock. On to that is dropped a plastic top, a plastic fingerboard (with plastic frets) and a plastic cover plate for the headstock. I must say that whatever colour combination you go for, they all look both traditionally Maccaferri and all look striking. The finish is an a glossy plastic, rather like the Korala Explore is, and far shinier than the Bugsgear and Woodi alternatives. On the top we have a plastic slotted bridge (for ease of string changing) with integral moulded saddle. That may make adjusting action a touch difficult, but to be honest, all plastic ukuleles I have tested have saddles like this. The top is otherwise unadorned, save for a kind of strengthening ring around the sound hole. This too is a nod back to the Maccaferri style, but I think these days is more about looks than function. Incidentally, I recall one chap saying online that these are identical to the Woodi ukuleles. They really are not, and only that sound hole ring is similar. They are different in feel and have a completely different neck. The clear backed model allows me to see the construction inside and note that the back and sides are unbraced, leaving the natural strength of plastic to do the work. The top however employs some moulded fan bracing, similar to that on the Korala Explore. Moving on to the neck, we have a pleasant profile that is far more playable than the Woodi or the Outdoor - a very typical soprano neck that I had no issues with. It too is braced internally, and whilst with a bit of force I can make it bend, it bends nowhere near as much as that on the Korala. On to the neck is dropped a plastic fingerboard with a fairly standard soprano twelve frets moulded into the plastic. It also employs a zero nut to set the action at that end (rather than relying on the nut slots that now just guide the strings. It's a system used on the Flea and means that it would be a pain to adjust it. It is actually a little high at the nut for my liking, but still playable and not affecting intonation at the lower frets. We have fret markers at the 5th 7th and 10th in silver paint and these are repeated on the side. In a nice touch the side markers appear on both sides of the instrument meaning that anyone swapping this for a left hander will still get the markers too. In a less nice touch, the side markers rubbed of within about 10 minutes of playing rendering them rather useless! Another word on the silver paint. This is also used to top the frets themselves. I had seen reports online from people showing that the fret paint had worn off totally in a couple of days of playing. I have been playing this pretty much constantly for a week and the paint is starting to wear on a couple of frets. Certainly not as severely as I have seen on others, so maybe Kala changed the paint recipe. But they are still wearing. Is that a major problem? Some may see it like that, but personally my view is more relaxed. In fact, if I was designing it, I would probably leave the paint off altogether. The Flea uses a plastic fingerboard and doesn't use paint so I certainly wouldn't miss it or mark it down for them being unpainted. Going through the wearing off phase is going to make it look a bit scruffy though. On a more positive note I have experienced no fret wear (even trying to mark the frets with a screwdriver) like I have seen on some other plastic fingerboard instruments. Up to the headstock and this is a typical three pointed crown affair. The Waterman logo is screen printed on and I must say, I really like the paddle board image that goes with the design. The tuners look like typical open gears you would find on a Makala Dolphin and work just fine. All the models I have come with black buttons. Looking inside the headstock on the clear model and I see that there are plastic spacers surrounding the shafts of the tuners - presumably to give some strength to the joint. This may prove a useful addition if you wanted to try to fit friction pegs as it should stop the headstock crushing. Completing the deal is a set of Aquila New Nylguts (the smooth and pearly variety) and a branded cloth drawstring carry bag. The bag is not going to provide huge protection, but then, this is a plastic ukulele - I think you could knock it down the stairs and it would survive. A nice touch is the satin inner lining making putting the ukulele inside a breeze. Still, it's a nice addition I guess. My impressions from playing are generally good, but lets deal with looks first of all. I often say that one shouldn't judge instruments on looks alone (looks don't make tone!) but I have to admit that the looks of these have really got to me. I think they look superb, striking, vintage and yet modern. For me, they are without a doubt one of the nicest looking plastic instruments I have seen on the market today. That would of course be pointless if they played badly, but thankfully they play rather well. Now clearly, these are NOT high end wooden ukuleles with killer tone, but they are not trying to be. They are plastic ukes and they sound like them. That isn't to say they sound like a lunchbox strung with rubber bands, far from it, but your expectations should not be for a high end solid Koa sound either. They have a fun sound and testing this side by side against the Korala Explore with the same strings, the Waterman sounds brighter and 'more soprano' like to my ears. They are light to hold, look to be pretty much bombproof and are just fun. They feel nice in the hands (far nicer than some of the rough edges Bugsgears and with a neck that is actually playable and feels like a ukulele neck (unlike the Outdoor and the Woodi). I much prefer the sound of them strummed rather than picked and think they can sound a little hollow and lacking in definition when played that way, but as a bouncy bright soprano tone for strumming they are lots of fun. How do they compare to the original vintage Maccaferris that they are modelled on. Well I am not getting drawn into that debate as it could rage forever (fans of original plastics can get quite evangelical about them). But I think a comparison is pointless. These are new instruments for little money that are going to be bought, mainly, be people who will never see a Maccaferri. Add to that, the fact that you can only really buy a Maccaferri used (and it may need repair) I can't see how one can fairly compare the two. I won't say that Kala have quite ticked every box for me, but I really rather like these. If you don't like plastic ukuleles, then there is perhaps not much I can say to change your mind, but if you approach these for what they are, for £30, what's not to like? I'd buy one. 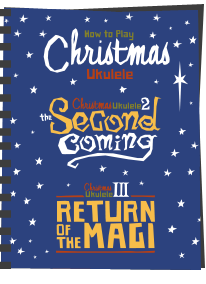 But a final comment - I don't think these are a replacement for a decent beginner ukulele like a Makala Dolphin - I kind of think they are a different market - more a ukulele for ukulele enthusiasts who want something more novelty. 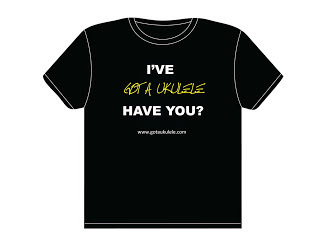 I don't think I'd recommend one of these as your ONLY ukulele, but if you already have the ukulele bug, then why not? 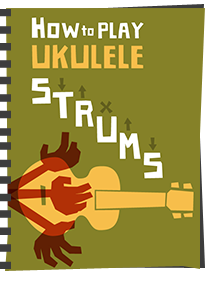 Why not see how the Waterman compares to many other ukuleles on my Ukulele Reviews page! Difficulty in adjusting action at nut or saddle. And for anyone who still doesn't think they can be played well. Here's Phil Doleman! Thanks Barry. Really well balanced and informative review. You have certainly made it clear what it is, and what it is not. Great review all round. I like that it could save your life if you ship was sinking! ;D))) All passengers on the Titanic shoulda been issued one! Thanks Baz - I learned about the Watermans only the other week, and I've been waiting to find out what you think of them, as I thought I'd rather like one (my daughter's interested in her own too, for the summer hols :-) ). In short: I still do! One idea: as I think the silver paint on the frets isn't a smart idea (they'll look VERY scruffy when it's half-worn off)... maybe a few minutes with some wire wool might accelerate the wearing-off process? Yes, if it was my instrument, that is exactly what I would do. Nice review, Baz, as always. I've one on the way, though it's bound for Sven in Sweden eventually. Hope I don't like it so much I can't bear to part with it! Good review. Looks like this is the plastic to get. Maybe kala can be convinced to drop the fret paint, and it would be cheaper for them too! My issue is that plastic topped ukuleles all sound like plastic buckets with strings. Hard to get over. At least the neck cavity looks to be closed on this one compared to many other plastics. On finger picking a soprano, I find the Martin OXK to be really good. High frets and great intonation all the up the neck do the trick. While this isn't saying much I far prefer picking the OXK to my concert fluke. The fret paint seems like a bizarre choice on something that is clearly embracing it's materials. Thanks for the thoughtful review. I was in the market for an uke to take out on the water for tubing, rafting, kayaking, etc... You insights have been quite helpful. Thanks for the review, I'm seriously contemplating buying a plastic uke. Very nearly did a couple of weeks ago. This is definitely one I'm going to need to consider. 1. The action is very high at the higher frets, which makes fingerstyle playing at these positions more challenging. 2. The bridge dipped so much that the open C string started buzzing loudly because it wasn't making good contact with the molded saddle. I fashioned a saddle using a toothpick and inserted it below the existing one. The string tension holds it in place. This solved the buzzing without, as far as I can tell, affecting the sound quality. Just purchased one and the action is a bit too high for my liking also. What are the thoughts about adjusting the action by sanding/filing the zero fret to reduce the action at the nut? Or is the high action just something we live with in the understanding that its a £30 bombproof uke that sounds perfectly fine? Bought a Waterman last month, but it turned out to be a wallhanger, a pretty one. The action is way to high for me to be able to play it proparly, Korala and Alic/Mahilele did better action-wise on their plastic ukeleles. I'm looking at picking one of these up for my daughter, I figure that being made of plastic will hopefully also make this one slightly more child-resilient, and at £30, maybe a good entry point for a learner. In your video review you mentioned that you keep picking it up as you walked past it, I wondered if a few months down the line if this was still the case? I've found your site via your youtube review of the waterman, and I've been reading through the rest of the page, keep up the excellent work! I do pick it up regularly and took it on holiday - it's more of a fun item than a serious instrument though and I think if I was buying one for a child I would by a Makala Dolphin - same brand but just as tough. I have had nothing but fun with my pale yellow Waterman (bought on impulse) for the past three months! I saw your review just today confirming my luck! It's really lightweight too for canoeing and camping. Might take it on the Pacific Crest Trail next year. Agree with strumming vs picking (even really cheap wood is better). Based on your review, my daughter and I now have a blue and a pink Waterman. We've played them every day together since they arrived a month ago. One of the best 72 euros ever spent. Priceless father/daughter fun. Thanks for your advice. This makes me happy Andrew! I love my Waterman...glow in the dark. :-D But I was wondering what is a good brand of strings for this uke. Any suggestions? thanks. Barry, I'm a teacher considering either a class set of these or the Dolphins for a six week unit. Would you consider one or the other? I'm leaning toward these since they seem really difficult to break. Rachel - definitely definitely the Dolphins - these are more of a specialist ukulele for existing ukulele fans and can need quite a bit of work getting them to play right. The Dolphins are also plastic back and sides and incredibly tough. I bought my daughter a Dolphin when she was 2. She is now 7, and despite a lot of scratches - it's still perfectly playable. This is the 2nd uke I have bought this week due to your reviews lol! I have the clear one on order from Omega. I am very pleased with the 8 string tenor. You will have me bankrupt :) As a beginner the most used phrase in our house has become "Barry says..." Hubby thinks it is hilarious. Enjoy it - lots of people disagree with me on this one, but it's not a super serious ukulele and nor should it be considered as such. What it is though is a lot of fun and bomb proof! Well I bought the Kala Makala Waterman UKE. When I got it home I gave it the appropriate time to acclimatize to the ambient temperature and humidity of my kitchen .a.k.a. test lab. (of course all important when breaking in a fine instrument. I picked her up looked squarely into the sound hole, tuned her and “we danced”. What surprise. It sounded much better than I had expected and at 55$ CDN its sound was far superior to the Outdoor UKE that purchased at twice the price. I was braced for that plastic Tupperware sound but with the resulting sound; It was damn good. I think that the reinforced and deep sided sound hole gives it more resonance thereby overcoming much of the plastic tones. (In my humble opinion). The tuner held better that a Scotsman holds onto his wallet. Overall The frets are silver coloured so we’ll see if it holds but, really who cares. This is not a Strad . My maple sap collection for the maple syrup production will be accompanied by this fine instrument to the sounds of “The Log Drivers’ Waltz” – a traditional Ottawa Valley tune. Barry, your review was bang on. At this price, sound and construction, I would recommend it to anyone who wants to have fun! Hey Barry, love all your reviews. I did notice that the Kala seems to have two slighty different name structure and logo for the Waterman. One called "Makala Waterman" with a bit wider paddle board logo and "Waterman by Kala" with thinner paddle board logo. ? why and what's the difference between the two, if any? Great pics for your review thorough comments, helpful. This is the similar one I have, but its painful to play when I tuned it. Also quickly goes out of tune, I installed geared pegs and new strings. I need help with solving problem of the bridge is too high. The brige appears to be pushing from a hollow to pop up on surface. Any advice welcome! I just bought a Waterman. It was the one hanging on the wall. Unfortunately, when I tune it the E string loses at tuning after a few strums. I know the strings need a week to settle, but this seems excessive. Thoughts on whether this is normal or abused while it was on the show floor. Thanks for the great resource here!!! I'm finding it's really variable Dan. I've had 5 through my hands. Two had dipping tops. The other three were fine. Very odd. I have and have enjoyed a Waterman Soprano. It is all I expected and I have had a lot of fun with it. The comments about the action up the neck are correct, but that part of a soprano neck is a bit tricky for me anyway. The tone of course does not have the complexity and warmth of even a laminate wood-bodied uke, but has a good deal of snap to it. Also, all the silver paint (frets, position markers, side dots) disappeared within half an hour of play. But, as another commenter said, it is what it is: a fun, casual, well-built plastic uke. 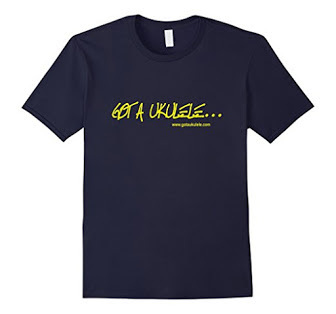 I should add that when introduced with only two color options, I immediately jumped on the Concert version of this uke. It's my favorite size of uke and I had wished for a concert Waterman when the original was introduced. An important difference is the tome. 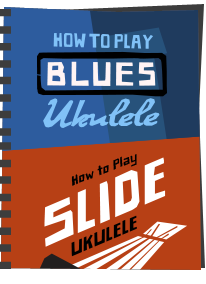 It is strikingly different--much warmer and smoother--but still un-complex as one expect in a plastic uke. No one else that I've read has mentioned this about the concert: the silver paint problem is solved. I've had my concert over a year and played it regularly. The silver paint has shown no wear. I love these two little axes and recommend them to anyone looking at this segment of the market.